It’s been quite the year for Monash Sport’s Tanya Hetherington, and 2018 is set to be even brighter still. 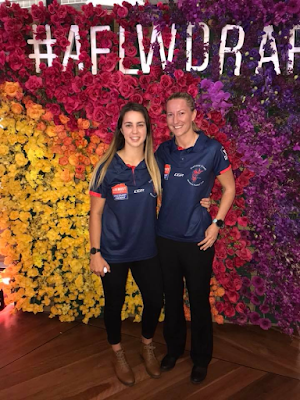 Following an impressive game in the VFL Women's Grand Final and being named in the VFL Women's Team of the year, Tanya has been drafted to the Greater Western Sydney Giants (GWS) at pick 17. Now, despite a knee injury that set her back 18 months, Tanya will be pursuing her dream of playing in the AFLW. And we couldn't be prouder. After 150 games with her club Diamond Creek, where she was co-captain in 2017, Tanya’s selection is well deserved. It reflects the hard work and dedication that Tanya puts towards her sporting goals. Following the draft pick, Tanya said that the selection was the realisation of a childhood dream. "Today, this little girl’s dreams of playing AFL came true. I am so honoured and grateful to the GWS Giants for giving me this incredible opportunity,” Tanya said. “It wouldn't have been possible without my amazing football club, Diamond Creek, and ... my workmates at Monash Sport who have always supported my football journey." We wish Tanya the best of luck for the 2018 season with GWS and look forward to her return in 2018 at the end of the AFLW season.